The pulp and paper industry is inherently dangerous, requiring workers to put their lives on the line each day they begin their shift. According to the U.S. Department of Labor, roughly 10 percent of workers in this field become ill or injured each year. Based in Atlanta, Georgia-Pacific is one of the world’s top manufacturers and distributors of paper, pulp, tissue, packaging, building products, and related chemicals. The company employs more than 35,000 people at over 300 locations in North America, South America, and Europe. 2016: In Big Island, Virginia, an employee died after falling into a pulper machine. His coworkers witnessed the incident, but were not able to get to the emergency stop button quickly enough to save him. 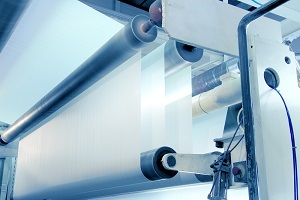 2014: In Crossett, Arkansas, a worker suffered a fatal head injury when he became entangled in a paper loading machine. 2013: Shannon Jones was killed on the evening of October 16 in a work-related accident at the Georgia-Pacific Mill in Cedar Springs, Georgia. 2008: At the Savannah River Mill in Rincon, Georgia, an employee cleaning off the after-dryer hood on a paper machine fell into the machine when the panel he was standing on gave way beneath him. 2006: A steam pipe combusted and caused a mill worker to fall from a high-level catwalk to his death. 2003: An employee fell into paper-shredding machinery while cleaning it. 2001: A worker was struck and killed by a loader tray at the Skippers, Virginia plant. 2000: A night supervisor at the Cross City, Florida plant climbed inside a board descrambler machine to clear a jam. Another operator mistakenly turned on the machine, trapping the night supervisor between the conveyor belts. Ensuring a safe work environment on the job site each and every day is critical, and federal regulations established by the Occupational Safety and Health Administration (OSHA) were designed to help employers do just that. Those rules do no good if they’re not followed. Georgia-Pacific has been penalized by OSHA several times for violating important workplace safety laws. For example, in 2015 the U.S. Department of Labor’s Occupational Safety and Health Administration issued 11 serious violations with penalties totaling $60,500. These violations related to a failure to implement chemical management procedures at the Columbus, Ohio plant. Workers were exposed to dangerous levels of formaldehyde, which can irritate the skin, eyes, nose, and throat. Formaldehyde is also deadly if swallowed and a fire and explosion hazard if exposed to heat or flame. Medical benefits pay for the cost of treating work-related injuries. Temporary total disability and temporary partial disability provide income replacement when a worker is unable to resume his normal duties. Permanent partial disability benefits compensate for a lasting disability affecting one or more areas of the body. Death benefits assist with the cost of funeral and burial expenses, while providing surviving dependents with income replacement. If you have suffered a serious injury on-the-job in Georgia, or if you lost a loved one in a fatal work-related accident anywhere in the state, contact our workers’ compensation lawyers at Rechtman & Spevak for legal help. You may be entitled to financial compensation for your injuries and medical expenses, which our reputable attorneys can help you pursue.